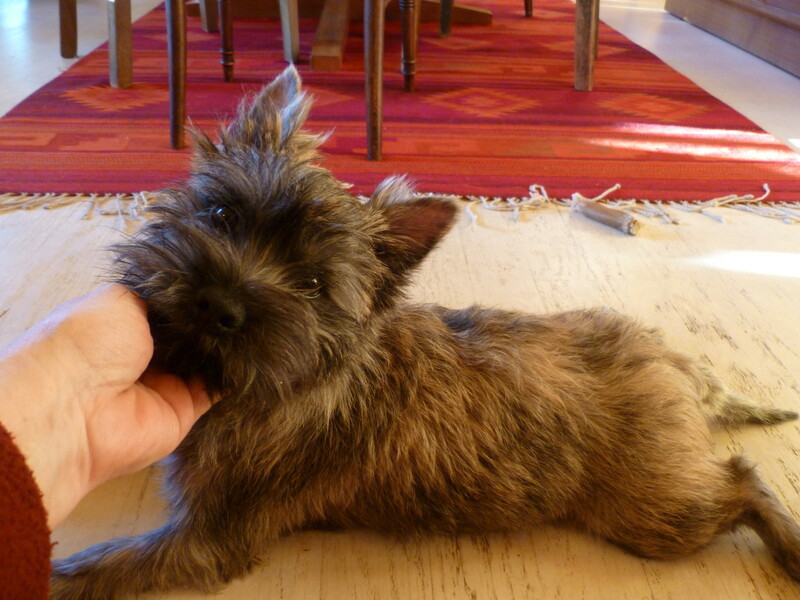 At Cabaret Cairn Terriers, we offer hand stripping services for those who want their Cairns to keep a hard coat and retain the true look of the breed. Hand stripping is suggested approximately every 4 – 6 months. A shorter time frame between sessions will keep your dog tidy with a good outline. Six month stripping will create a shaggier look. Either one is fine, personal preference will determine how often you decide to bring your dog. Appointments need to be booked in advance. We are available weekdays and weekends. A grooming session usually takes approximately five hours. Nail clipping is included. 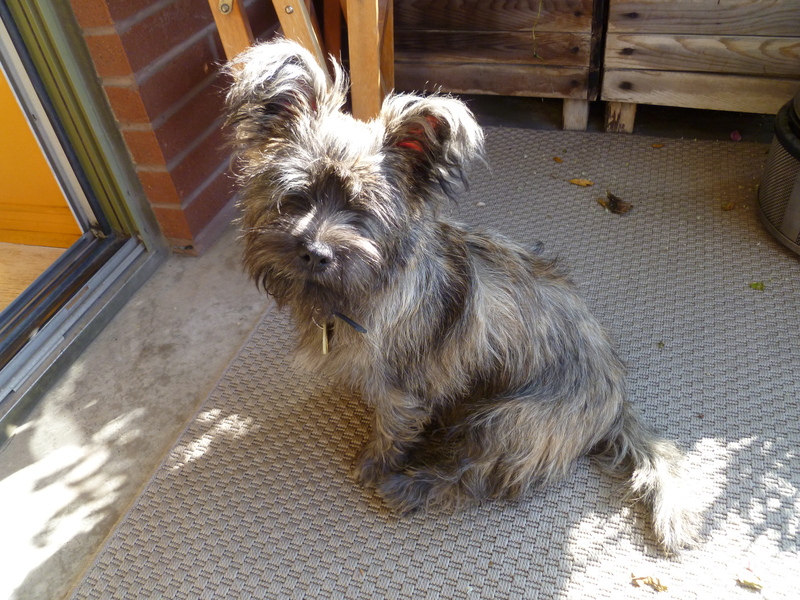 Cairn Terriers are a double coated breed, meaning they have a soft downy undercoat for warmth and a harsh outer coat to protect their skin when chasing prey in a rough, earthen tunnel. They do not shed their coat on a seasonal basis as some breeds do, but the hair, if left unkempt, will just keep growing and growing. Your choices are either to hand strip the coat or clip the coat to keep your puppy looking neat and tidy. 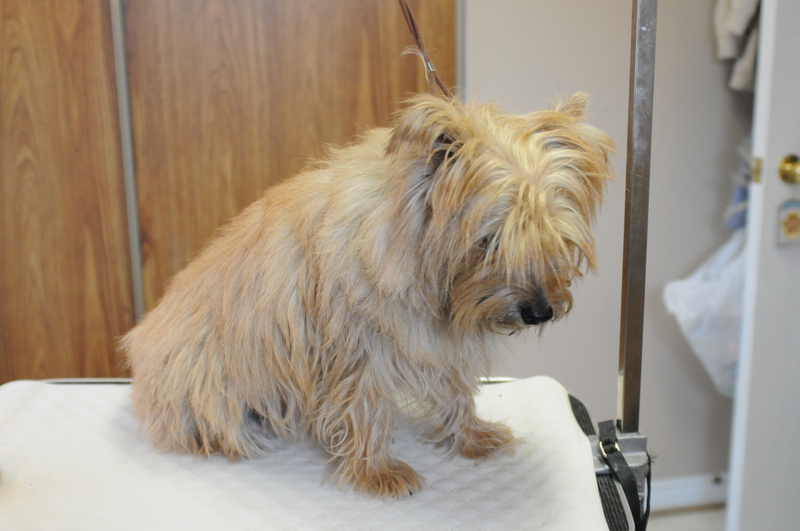 Hand stripping is a process where the hair (including the root shaft) is plucked from the dog. This is not as painful as it sounds, once the coat is long and dead looking, the hair will come out easily. This is strictly an aesthetic decision, although there are some benefits to hand stripping. A clipped coat is usually lighter in colour, with a silvery hue and has a soft, downy texture. Mats can form and regular brushing/bathing is a must, as the consistency is such that dirt and debris will cling to the soft hair. Very often the undercoat can become extremely dense and will have to be thinned or raked on a regular basis. 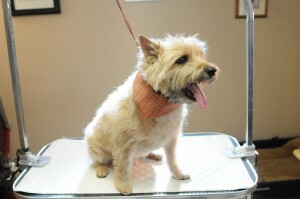 Shedding can also become a problem with a clipped coat. A hand stripped coat is much easier to keep clean. The hard hair does not retain dirt or odours and matting is usually non existent. 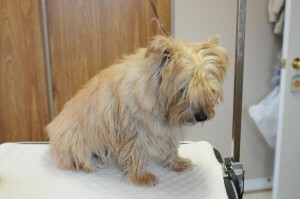 A hard coat is also the natural state of a working Cairn’s appearance. Bathe your dog seldom to avoid drying skin and excessive shedding. Once a year is often sufficient. 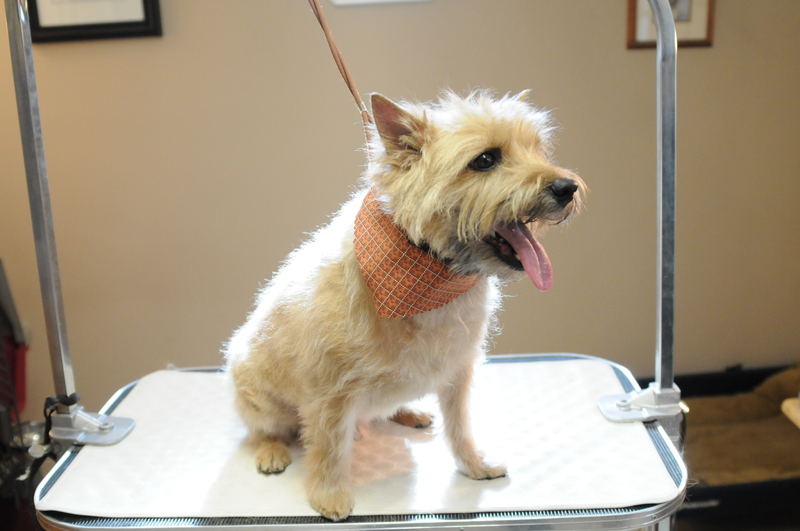 We also offer hand stripping grooming for other hard coated terriers, including: West Highland White Terriers, Norfolk and Norwich Terriers, Border Terriers, Wire Haired Fox Terriers, Scottish Terriers. who loves and understands the breed and knows the true terrier appearance!